The all new Knight's Armament M-110K5 was announced at the 2014 Special Operations Forces Industry Conference. Lighter doesn’t always mean better, but it usually does, especially when you’re out in the field. Joining the already released M-110 and the M-110K1, Knight’s Armament has announced the all new, lightweight M-110K5 .308 rifle. 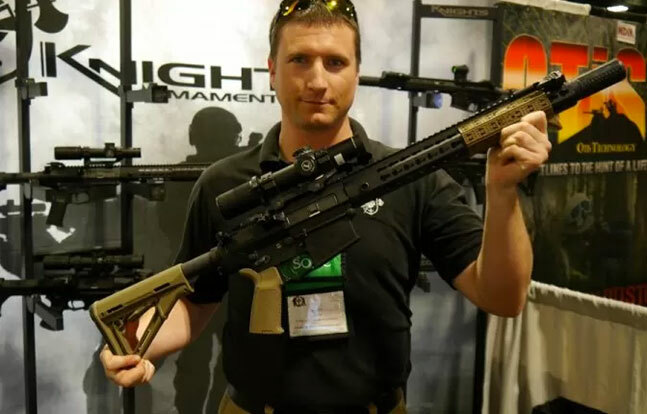 The M110K5 was announced at SOFIC 2014 (Special Operations Forces Industry Conference) where Nick Leghorn from TheTruthAboutGuns.com said lightweight products stole the show. The SR-25 rifle is chambered in 7.62 NATO and sports a 14.5 inch barrel, onto which is (more or less) permanently attached a .30 caliber silencer — KAC designates this puppy the M110K5. It makes sense since the barrel will be shot out long before the silencer, and eliminating the need for a QD mounting system and perfectly tuning the can to the gun make it lighter and more accurate. No release date for the M-110K5 has been announced. Knight’s Armament was founded more than 30 years ago as an R&D firm, specializing in products which met the needs of U.S. Special Operations troops. 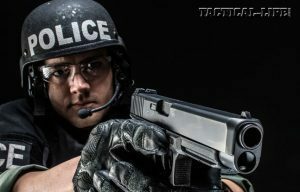 For more information from Knight’s Armament, please visit KnightArmCo.com.